Will the Winnipeg Jets trade Jacob Trouba or try to sign him? Will the Winnipeg Jets trade Jacob Trouba? TSN: The Winnipeg Jets might find themselves in a salary cap crunch as their young players get closer to big contracts. 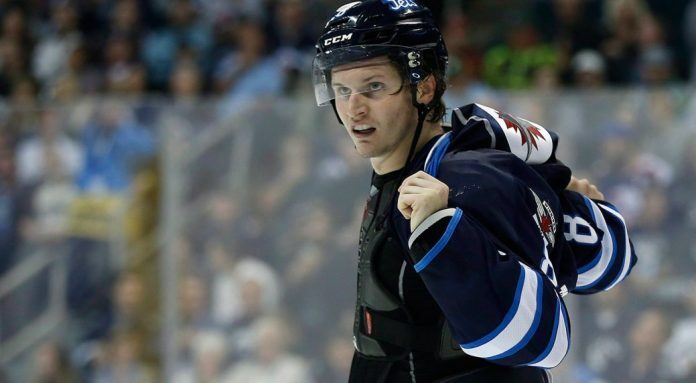 Could Jacob Trouba be on the move as a result? Darren Dreger reports it’s a long shot to expect that Trouba could be moved in-season prior to the 2019 NHL trade deadline. He’s just too valuable to the Winnipeg Jets. I can tell you that the focus 100 per cent from top to bottom in this organization is on winning. Contending for that Stanley Cup. Trouba is a restricted free agent at the end of this year. He can go through arbitration again, so the Winnipeg Jets would control his future for this season and potentially next so you’ve got Trouba, you’ve got Myers, you’ve got some other pieces that general manager Kevin Cheveldayoff is going to have to address. Will the Detroit Red Wings trade Anthony Mantha? Detroit News: This hasn’t been the start to the Detroit Red Wings season Anthony Mantha wanted. Mantha only has three points (one goal, two assists) in the first eight games, with a team-worst minus-11 plus-minus rating. It’s gotten so bad, Mantha is now on the fourth line and has been bumped off the power play. Mantha, 24, has had bouts of inconsistency throughout his NHL and minor league career, and not playing with the passion or work ethic required for success. A trade and a fresh start with another team is what might be needed for Mantha to turn around his NHL career. The question is, are the Red Wings ready to give up on Mantha?